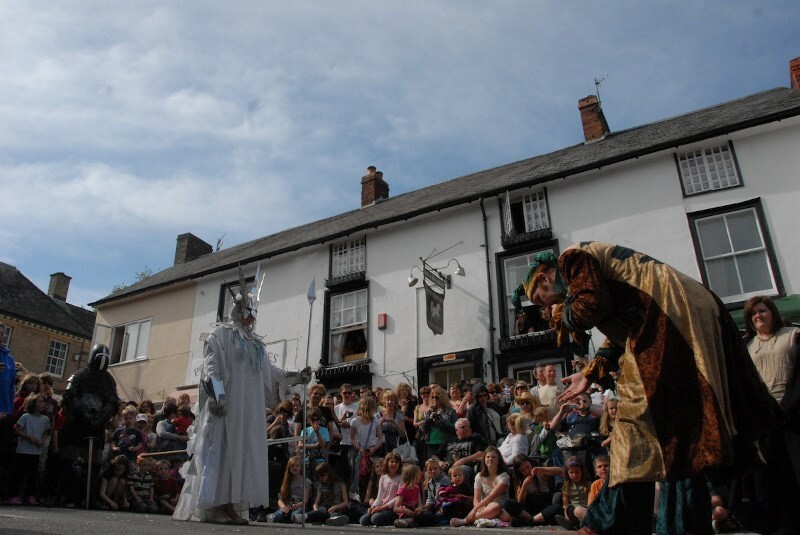 Why not join the entertainment at the Clun Green Man festival whilst spending a few days at The School House B&B over the May Day bank holiday weekend. 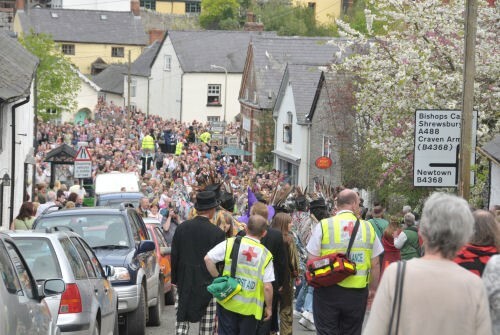 This traditional springtime festival has music, drama & medieval merriment. Many local people come to celebrate around the town and in the grounds of the castle. The music continues in the evening at the White Horse Inn. For a full list of events see the webpage here or Facebook page here @ClunGreenManFestival. The Battle on the Bridge is the dramatic focal point of the weekend, and always takes place at noon on Mayday (Bank Holiday Monday). The Green Man and Ice Queen each have their entourage and approach the Bridge in procession from opposite sides. 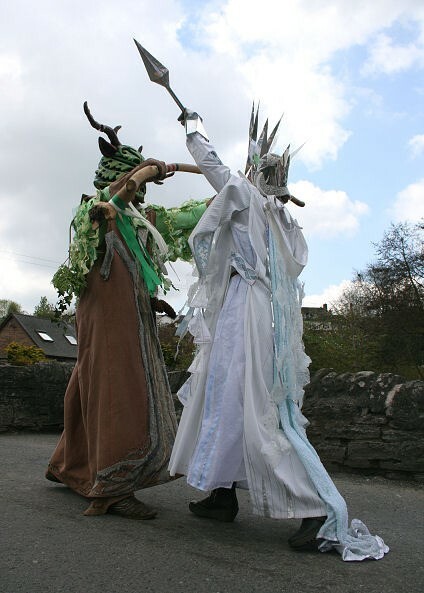 The Green Man comes down the hill from the Church with the May Queen, whilst the Frost Queen descends Bridge Street with her little icicles. There follows a stand off! Hear me now, this charge I lay: release the summer this very day. Hear my words addressed to thee, for this is my will; so must it be."